CNBC (10/4/17) assumes that “you” are among the “more than 500,000 individual bondholders” or the “hundreds of thousands more investors with small exposure through mutual funds”—despite the fact that it gets 43 million visitors a month. 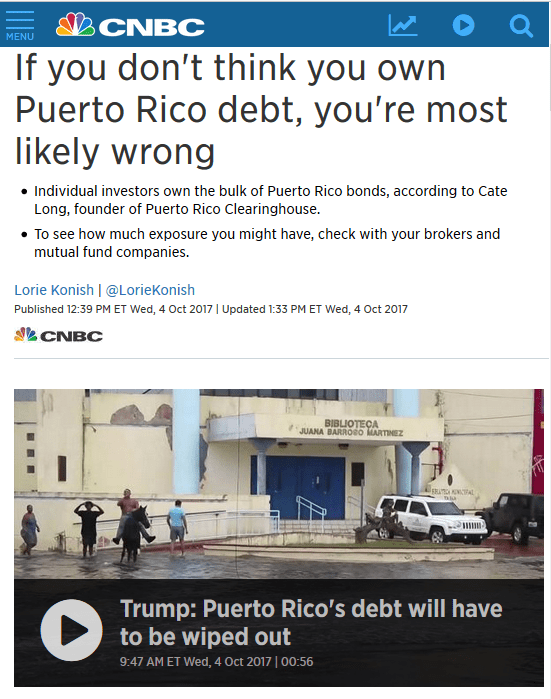 With crushing debt threatening to annihilate its economy (CounterSpin, 7/31/15, 5/12/17), the island of Puerto Rico was already desperate. Then came Hurricane Maria, the September storm that tore through the US colony, leaving most of the island’s residents without power and many without water. The official death toll on the island from the Category 4 storm that packed winds of up to 155 miles per hour is at 43—and hospitals and funeral homes have said that the toll is significantly underreported. To expect Puerto Rico to rebuild from this unnatural disaster while at the same time bailing out Wall Street financiers is to condemn its residents to a permanent state of crushing hardship and impoverishment. Three months ago, the Hellenic Parliament in Greece decided to establish the Truth Committee on the Public Debt to examine the origin of the accumulation of that negative value, of capital’s anti-matter called debt, that has, pretty much, sucked Greece into a black hole. –Repudiate the debt, the MFFA, and the reforms in their entirety. No formal count was taken at this meeting, but according to Stathis Kouvelakis, 30 MPs were out of the room when the vote was taken and 40 abstained or voted against. If this is right, then a third of those present voted against. He recounts that most speakers – some 80 MPs – criticised the deal, in an emotional and turbulent meeting that went on for 12 hours. On Tuesday, February 24, 2015, the Syriza government of Greece presented its “first comprehensive list of reform measures” to the president of the Eurogroup. The Eurogroup is what the committee made up of the finance ministers of countries using the euro as currency is called when it actually meets. The Syriza government has postponed submitting its proposed list of “reforms” to the European Union. The “reforms” were due on Monday, 23 February, but the Syriza ministers won’t be ready until tomorrow. Indeed. That–“won’t be ready until……”– describes Syriza’s leadership perfectly. By Michael Hudson, a research professor of Economics at University of Missouri, Kansas City, and a research associate at the Levy Economics Institute of Bard College. His latest book is “The Bubble and Beyond.” This article is from a new book, Flashpoint in Ukraine, edited by Stephen Lendman. 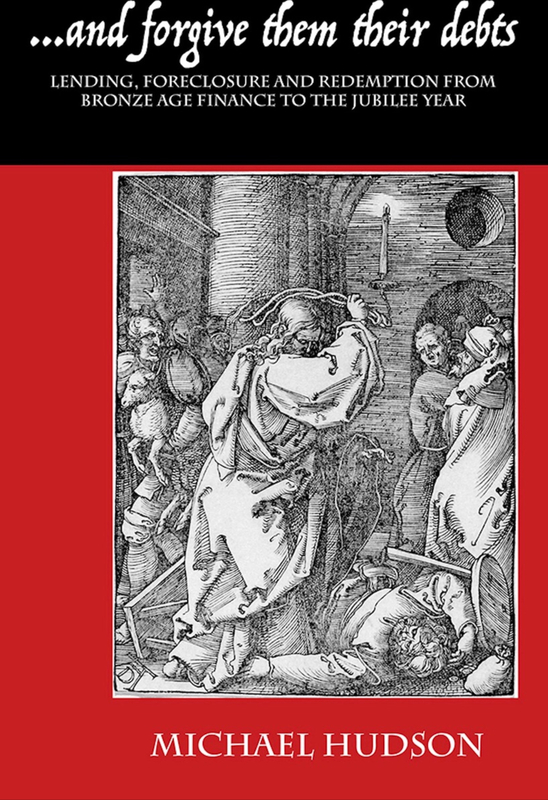 It is currently available from Clarity Press as an e-book, and soon to be printed.